Apple’s low-key approach to new AirPods 2 and iPad launch suggests hardware is no longer the flagship product for Apple. Apple in November last year announced that it will no longer report unit sales for iPhone, iPad and Mac. The move signalled at Apple’s big shift in strategy where services will be pushed more than ever. The build up for Apple’s special March 25 event more or less confirms the shift. Apple’s March events have traditionally been about new hardware, mainly iPads. Last year in March, Apple introduced a low-cost iPad with an objective to tap the educational market. In 2017, the company announced a new iPad and Product Red version of iPhone 7. Apple’s 2016 March event saw the arrival of iPhone SE. This time around, Apple announced new products including new iPad Mini and long-awaited AirPods 2 through press releases. Much smaller products have received stage presence at Apple’s events in the past. 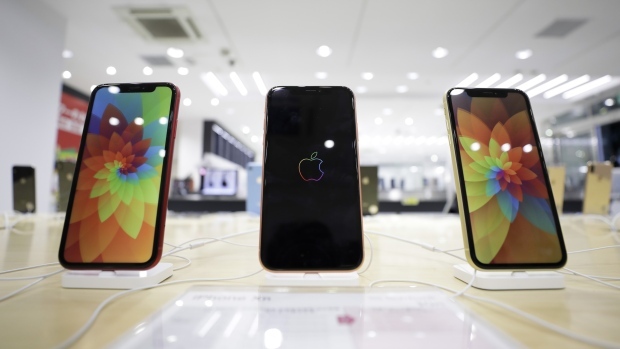 Over the last couple of years, Apple has been grappling with slowdown in iPhone sales, especially in its key markets such as India and China. The plan B is clearly the services where Apple has seen positive growth in last few quarters. Apple’s services catalogue includes Apple Music, Apple Pay and App Store among others. According to Apple’s first quarter results published earlier this year, services revenue hit an all-time high of $10.9 billion which is up by 19% over the prior year. Apple Music saw its highest revenue ever with 50 million paid subscribers. During the holiday quarter, Apple Pay saw 1.8 billion transactions whereas $332 million were spent on App Store on New Year’s day alone, according to AppleInsider. While Netflix has shied away from the new platform, Apple has succeeded in building partnerships with the likes of HBO, Showtime and Starz. Actors such as Hailee Steinfeld, Brie Larson, Jennifer Garner and Steve Carell are also said to have joined Apple’s new platform. It’s not just the lucrative digital entertainment market Apple is looking to tap. The company is also working on a ‘Netflix for magazines’. Based on the company’s acquisition of Texture application, Apple is working on a new premium newspaper and magazine subscription service. According to rumours, Apple’s news subscription service will cost $10 per month. Apple may miss out on some key publishers such as The New York Times and The Washington Post which have confirmed to sit out of the platform. Apple is also rumoured to showcase on a ‘Netflix for Games’. The revamped App Store will show a bundle of games at a monthly subscription plan. The new bundle will exclude games that have in-app purchases. The concept is quite similar to Google’s recently unveiled cloud-based Stadia gaming platform. Apple new AirPods 2 and iPad launch.